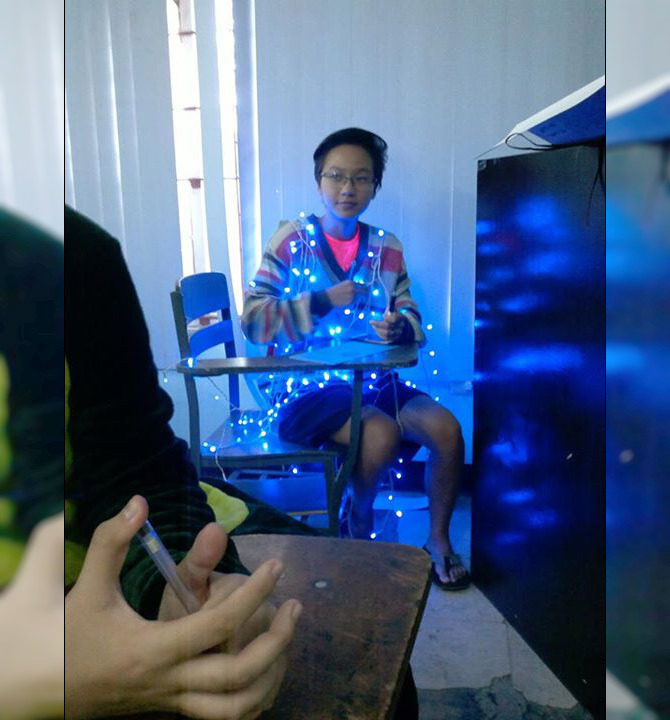 Determined to earn bonus points, a student of the University of the Philippines (UP) wore a Christmas lights costume during an examination. According to a certain Raphaella Rocero‎, who uploaded a photo of the female student on the Narinig ko sa UP (Overheard at UP) Facebook page, their STAT 101 professor asked them to wear a wacky and Christmas-related costume during the finals. Apparently, those who heed to the "special request" would get extra points to be added to their grades. Rocero, who jokingly described the act as "buwis-buhay" (risking life), clarified that the professor made sure that her classmate was safe. 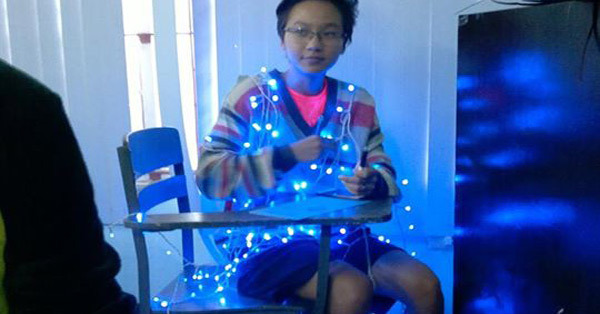 The Christmas lights costume was only plugged-in for a short time and not during the entire exam period, she added.